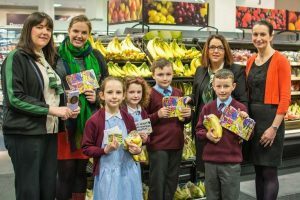 Using Critical thinking with St John’s primary school to promote awareness of fairtrade in schools. As Fairtrade Fortnight launches it is good to remind ourselves of the positive impact it has on people and the planet. Children in Crossfire is committed to Fairtrade because of the good it does in the world. When you purchase Fairtrade goods you are giving fair pay and better working conditions for farmers around the world. At Children in Crossfire, we believe that it’s not only about the work we do in developing countries but the choices we make daily that impacts the lives of children living in poverty. Fairtrade is a brilliant opportunity for you to make a difference. For the next fortnight, we ask that you make the change and commit to purchasing Fairtrade products whenever you can. 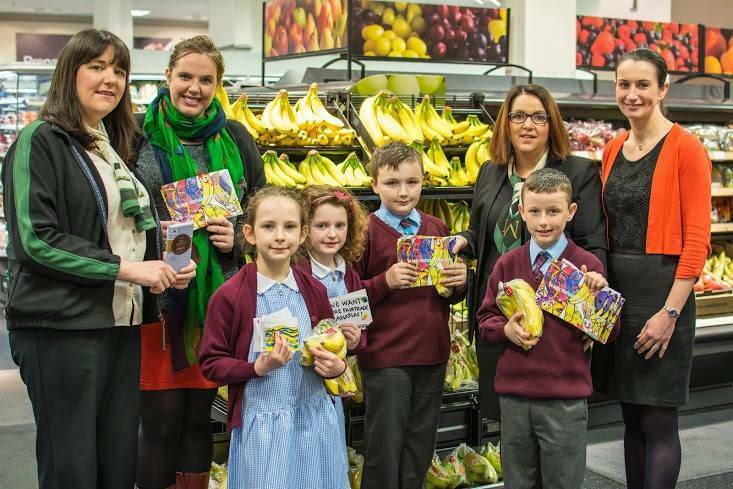 Foyle Fairtrade are a local organisation who have worked very hard the last few years to bring Derry~Londonderry the title of ‘Fairtrade City’, something we can all be proud of. So why not make a further change this year and bring your house the title of ‘Fairtrade Home’. By choosing Fairtrade products, you will not only be accessing high-quality goods, but you will be making a difference in the lives of the people who grow the food you eat and the products you use. There are plenty of events planned throughout the city during Fairtrade Fortnight, from coffee mornings to clothes swaps! At each one, you will make a positive change in the world and even meet new people. (You may even get a taste of Fairtrade goods like chocolate and wine!) You can find out all about the upcoming events HERE.